Are you looking to connect your iPhone 7 to the big screen to watch Netflix with your friends or want to check out the flip through holiday snaps on the biggest screen like Samsung LED TV? If your answer to this question is a yes, then, you are at the right place. Connecting the phones had never been easy before, but with the introduction of HDMI adapters or cables. These cables have been in use since long and enabled the users to watch videos with better quality and enhanced experience with the wide range of devices like laptops, TVs and computers etc. So, here, I am going to tell you a secret through which you can wirelessly mirror your iPhone 7 Display on any LED / LCD TV with HDMI support. Devices supported for Airplay mirroring feature include, iPhone 5S, iPhone 6, iPhone 6S, iPhone 6S Plus, iPhone 7, iPhone 7 Plus and iPad Pro. The easiest way through which you can connect your iPhone 7 display to a LED TV is using a HDMI adapter. And among the HDMI cables, the best one that you can choose is the EzCast AirPlay Full HD Wireless Adapter because of many good reasons. Here are some features of this HDMI adapter that you need to check before you buy one for you. Whether you are looking to mirror your photos, videos, games or any such thing from your phone to TV, this HDMI adapter can serve the best purpose. 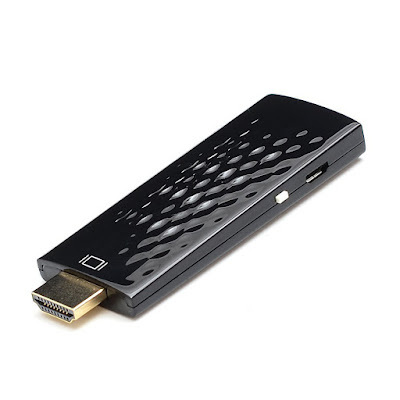 This EzCast AirPlay Full HD Wireless Adapter can virtually link to any TV’s HDMI and your mobile, through which you can easily enjoy the thing you want to from your mobile. Operation System: It incorporates Linux Central that is known to be one of the stable and flexible to use operating system. Not only this, it is also less vulnerable to malicious activities, thus your system can remain free from damage. Central Processing Unit: It offers 1GHz CPU that is fast, fluent, flexible and perfect for supporting HD images, videos and games. Wireless Interconnection: That makes it much more convenient and portable to use. Supports: DLNA, Miracast, Airplay, multi-screen interactive with only a single key touch. Works on Android, OS devices. Full HD: Works like a pro with High definition 1080p graphics and nothing like other 720p or 1080i. Perfect for playing hd games, presentations, watching videos and photos on big screen wirelessly. Not a replacement for Apple TV. Should you buy eZcast Airplay Wireless HDMI Adapter? If you are looking something to mirror your images and videos from iPhone 7 to Samsung LED TV, then this EzCast AirPlay Full HD Wireless Adapter can work great, but that’s not a good choice for mirroring games, contrasting acclaimed by the company. Moreover, there are some pros as well as cons for this device that you definitely need to consider before buying. Previous story How To Jailbreak iPhone 7 / Plus / iPad iOS 10 – 10.1.1 with Yalu Jailbreak?